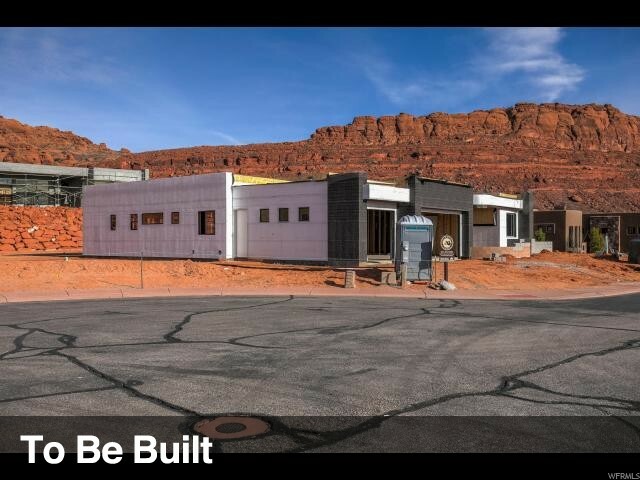 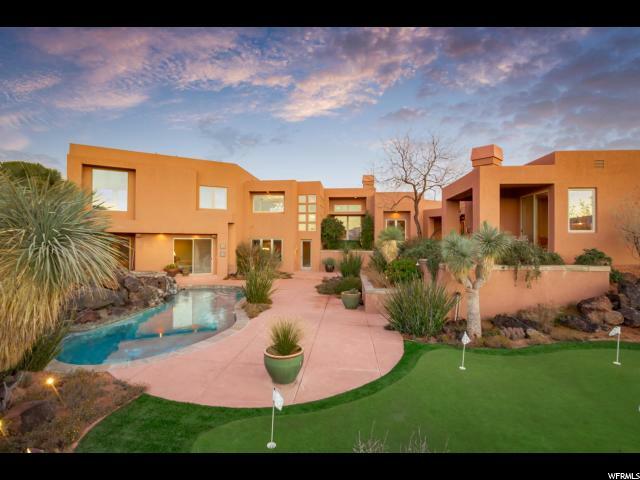 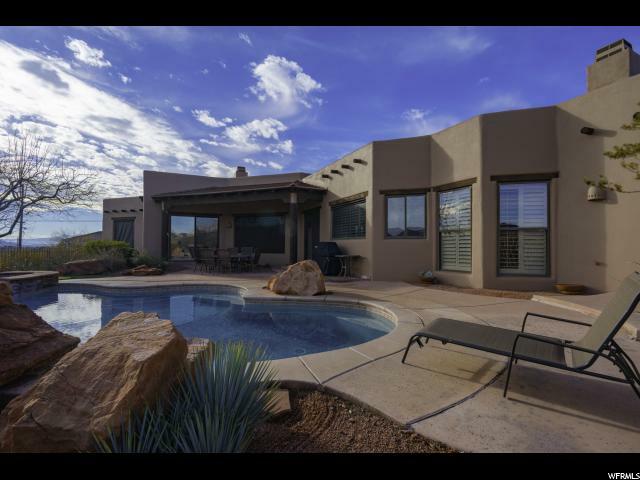 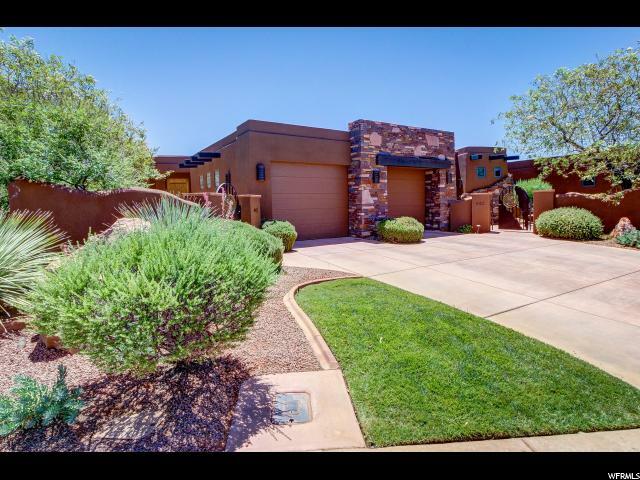 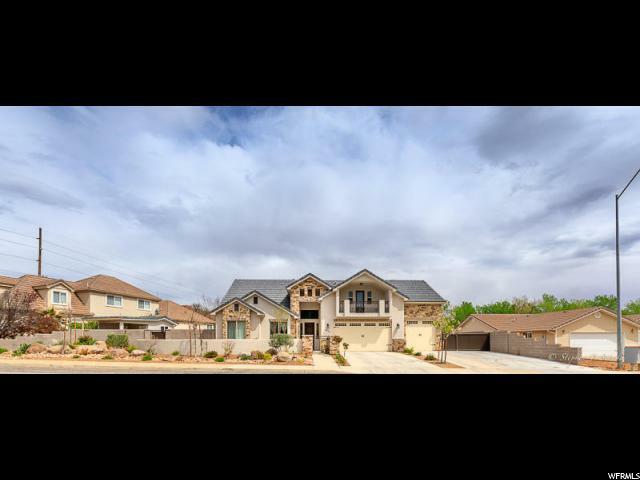 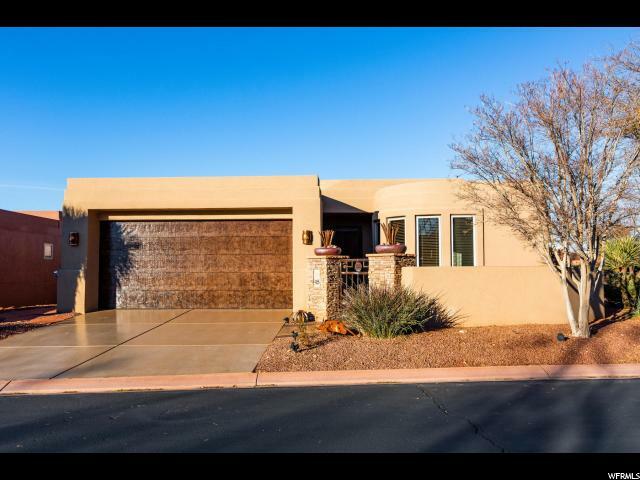 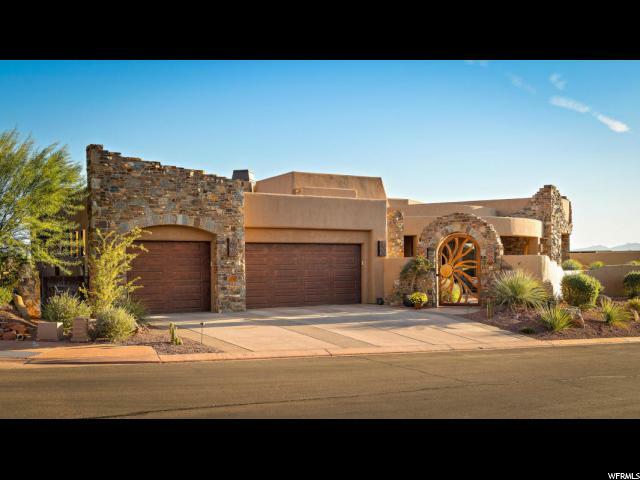 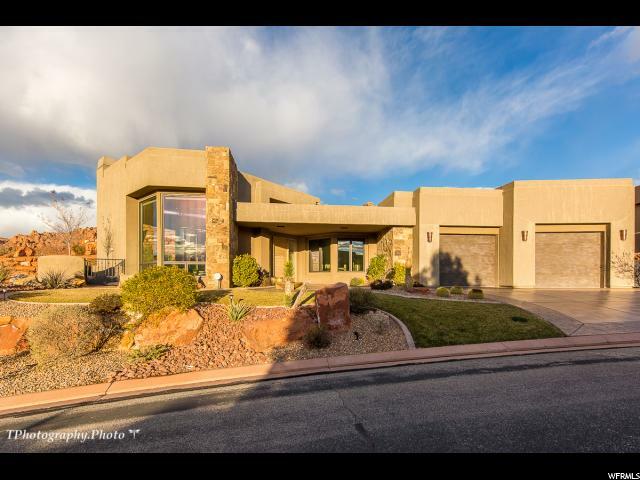 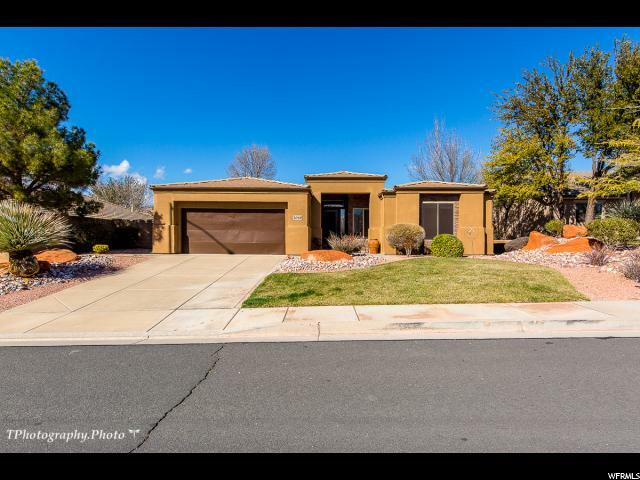 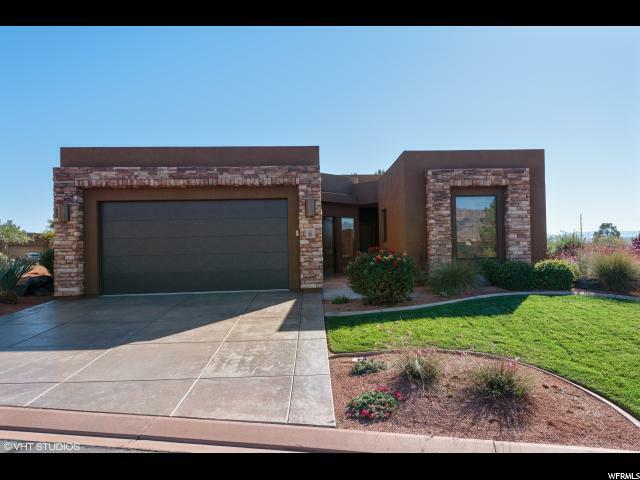 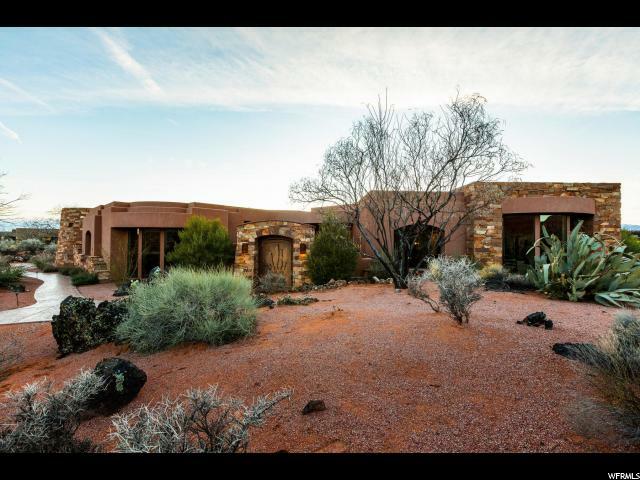 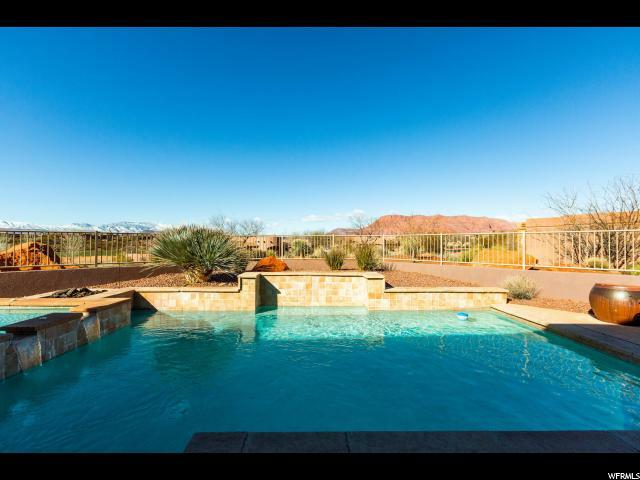 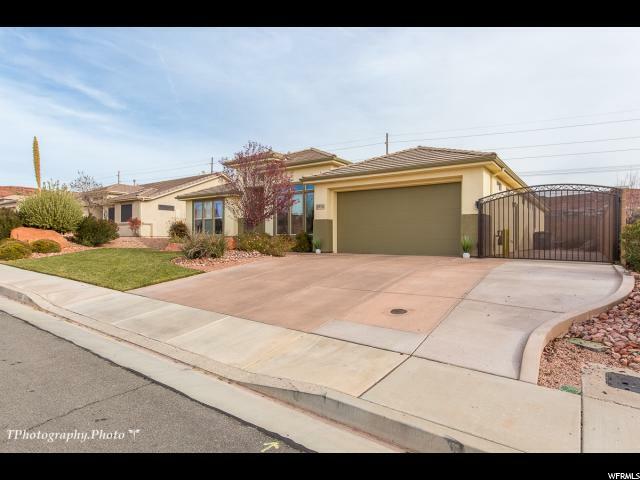 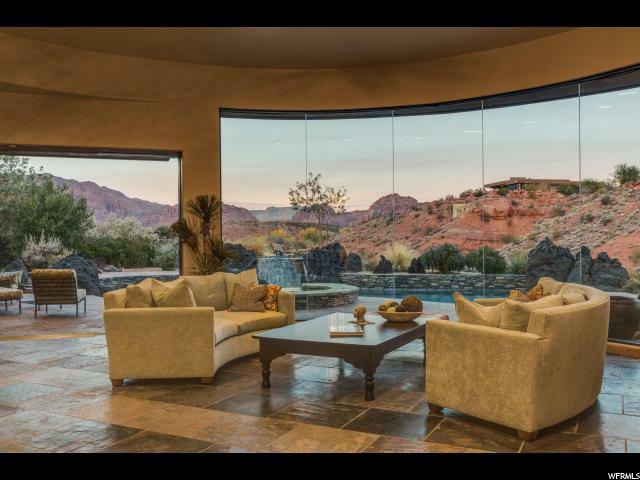 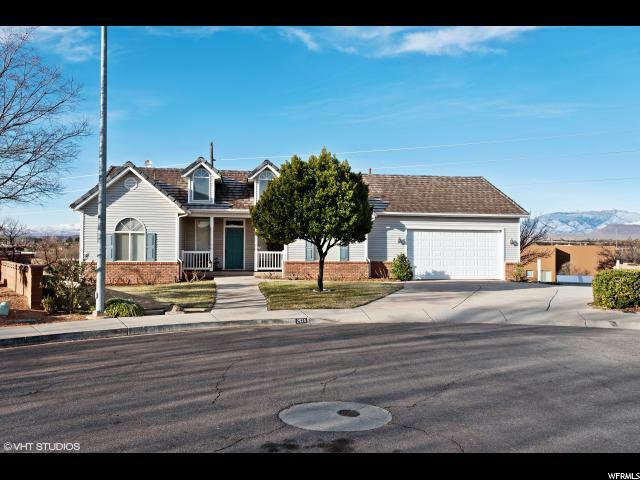 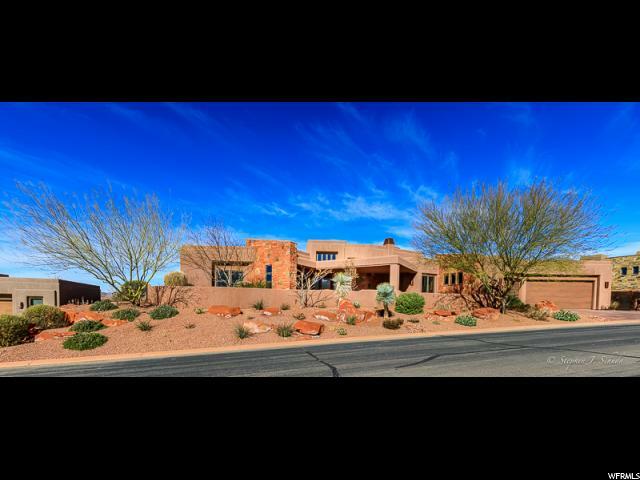 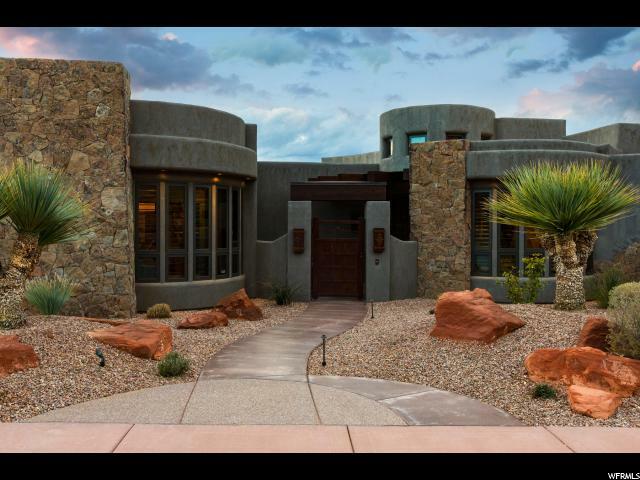 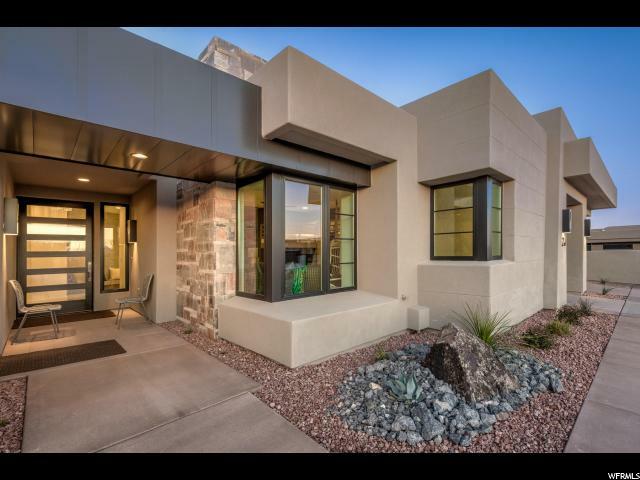 This former 2018 luxury award winning parade of homes is perfectly positioned on the edge of a lava bluff with spectacular views of Snow Canyon and the 18th green of Entrada Golf Course. 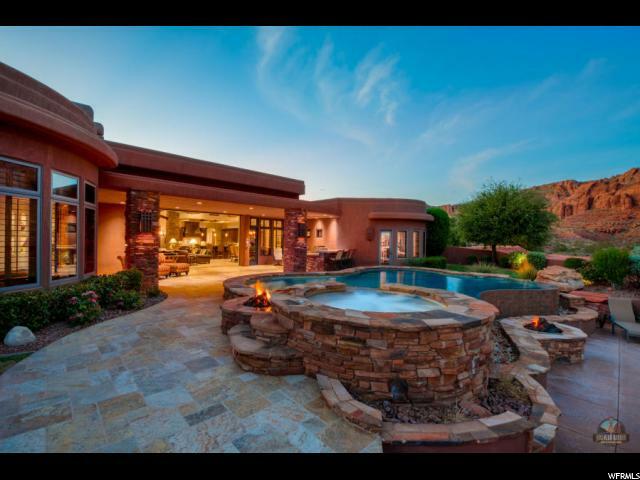 The living space in the back is flanked with amazing infinity edge pool, spa, and multiple fire features! 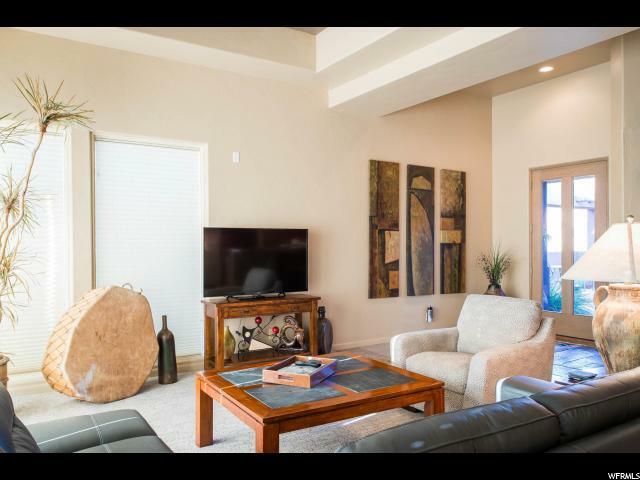 Golf membership & furniture package included. 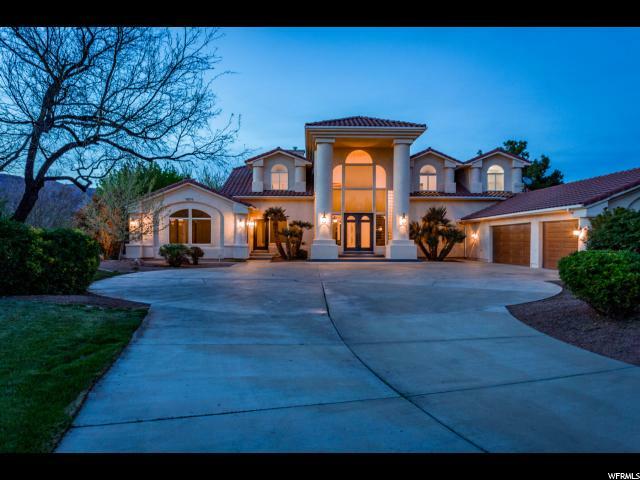 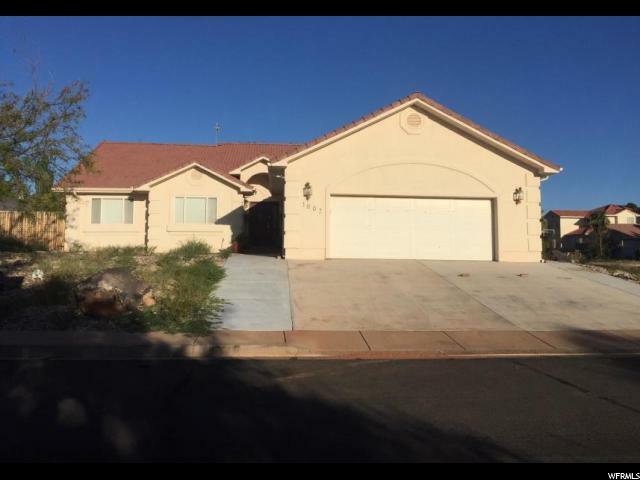 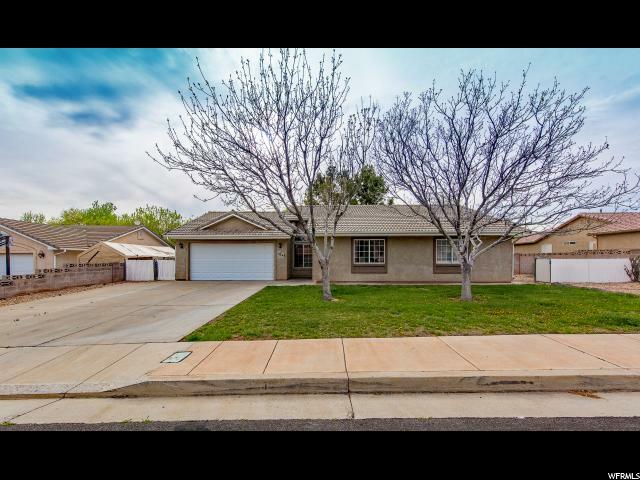 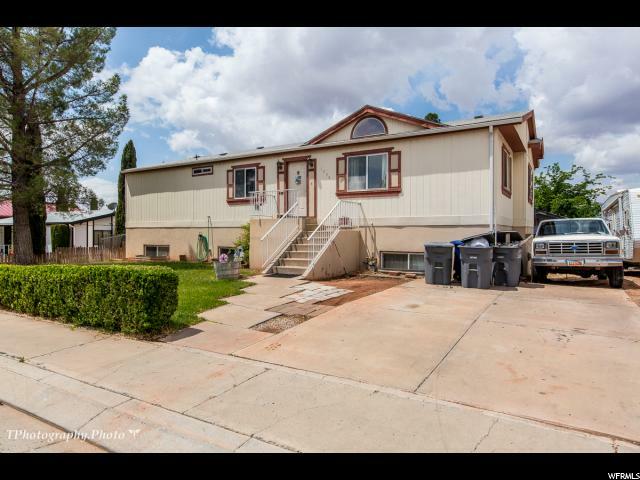 Amazing 4 car garage with heating. 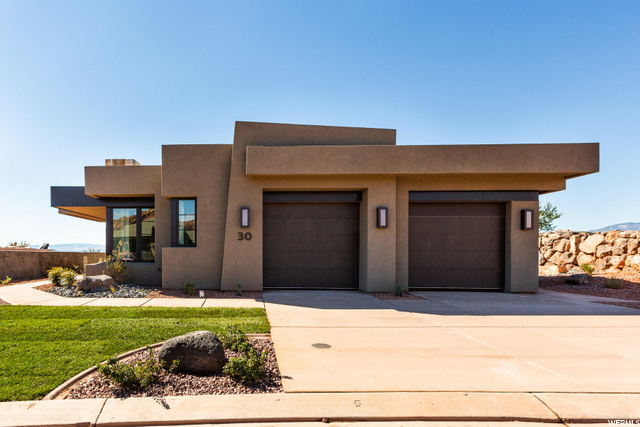 World class energy efficient smart home technology at it's finest.